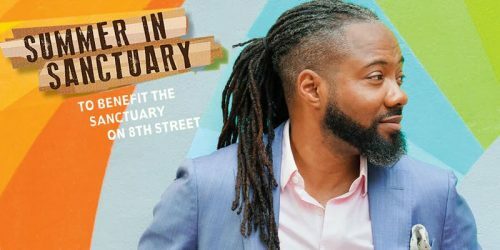 Al Letson’s Summer in Sanctuary will be presented on Sunday, March 31, at Theatre Jacksonville, with proceeds benefiting its namesake, the Sanctuary on 8th Street, a nonprofit serving children in Springfield. This solo show is written and performed by Letson, a performance poet, playwright, actor, storyteller and public radio host, chronicling his summer working as a creative writing teacher at the Springfield nonprofit. Told through monologue, poetry, song and sound-rich reporting, Summer in Sanctuary goes beyond the statistics to reveal the unseen challenges and complexities facing students in underserved communities across the country. The performance begins at 2 p.m. General admission tickets are $25, $10 for students. VIP Admission is $50 and includes a reception with Letson following the performance. Theatre Jacksonville is located at 2032 San Marco Blvd. in Jacksonville. For tickets, click here.